Click here to view the Quality Profile Report in a flip-book. Click here to view the Quality Profile Report as a pdf. The Quality Profile report is a comprehensive, community-oriented companion to the Ohio Department of Education’s School District Report Card. The Quality Profile includes additional accountability measures that define a high quality education and are not captured by the state report card. Since the state’s release date has been moved to later in the year because of changes made to the state testing program, the profile will provide communities with their first look at current information to assist them in assessing district progress. This Quality Profile helps to evaluate the effectiveness of a school district beyond standardized testing measures. The content is based on six categories including: Teaching and Learning; Arts; Student Leadership and Activities; Fiscal Stewardship; Parent and Community Involvement; and Student Services. Participating districts survey community members to determine factors they value in education that are not being measured by the state, resulting in a more in-depth profile that measures those educational components that stakeholders consider most important and valuable. 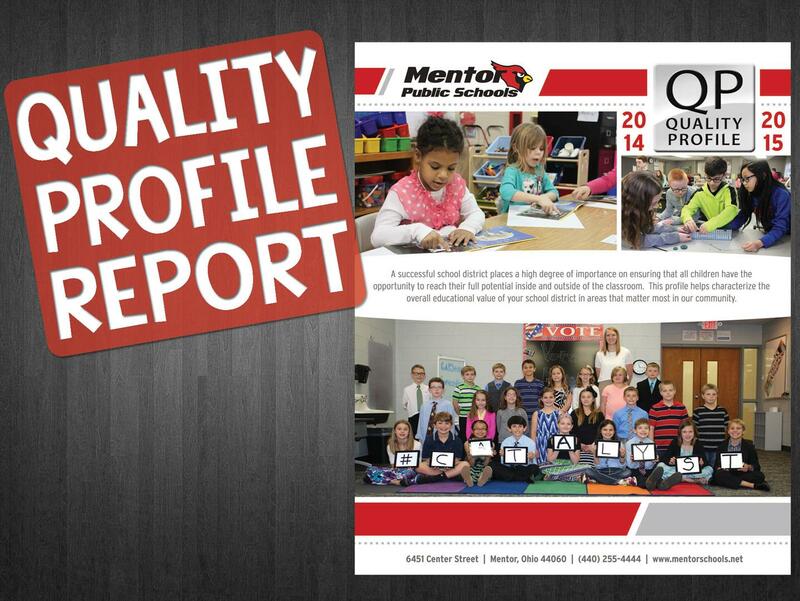 Now in its second consecutive year, Mentor Schools joins dozens of other school districts across the state releasing a Quality Profile report to its community. The Quality Profile is sponsored by the Alliance for High Quality Education, which is a statewide education consortium that works to improve educational opportunities for students and to represent member districts on matters of educational policy and funding.